A Waukesha County state representative isn't getting too excited over the latest talk about ending the Miller Park sales tax. Pewaukee state Rep. Adam Nelyon said lawmakers and Miller Park managers have talked for years about ending the .10 percent sales tax that has paid for the ballpark for more than 20 years. "From the time the original end date in 2014 came and went, I’ve supported legislation to bring this tax to an end," Neylon said. "[But] we’ve seen deadlines come and go in the past, and I would encourage the Stadium Board to keep their word on this one." The Southeast Wisconsin Professional Baseball Park District on Tuesday voted to end the tax in March of next year. Miller Park's board chairman, Don Smiley, said the vote was "rewarding" for taxpayers. Anyone who's shopped in and around Milwaukee, specifically Milwaukee, Ozaukee, Washington, Waukesha and Racine counties, since 1996 has paid the tax. Neylon and other lawmakers say the tax has taken in over half a billion dollars over the years. Miller Park's financial manger, David Anderson, said in a statement Tuesday that the park is looking to end the tax next year in order to get one more year of collections. "Assuming no dramatic decline in sales tax receipts, the district will have accumulated sufficient funds in late 2019 or early 2020 to begin the sales tax retirement process," Anderson said. Neylon said he and other lawmakers are still pushing the plan to end the sales tax by the end of this year. Either way, Neylon said, "This move is long overdue, but better late than never." 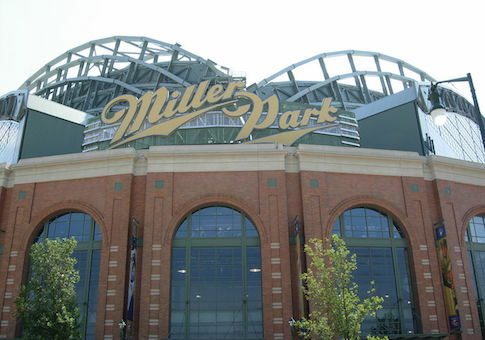 The Brewers paid $90 million to build Miller Park, which opened in 2001. The city of Milwaukee and Milwaukee County paid another $36 million. The state of Wisconsin also paid $36 million. The five county tax covered the rest of the park's price tag, about $230 million. The tax revenue also has been used for maintenance over the years.